Get a FREE Spaceship Kit and online streaming when you buy a DVD! "The Emissary was absolutely fantastic! What a hilarious, light-hearted movie! Congratulations on a great film." "Tim Erskine, the talented force behind The Emissary Movie, has made a film that appears on the surface to be very much like his own winsome personality: tender, quirkily funny, romantic, and techy-nerdy, with a dose of mindful living. This is a movie unlike anything else you will see this year, and that is a real shame." "The film definitely had an impact. Bobby [age 5] wanted to start the day by building a space ship. And a couple of his friends went on an awareness walk this morning." "The movie absolutely stunned us--so professional and well done yet so personal (Door County in its glory)! Will not be able to brag enough to encourage everyone to see it!" 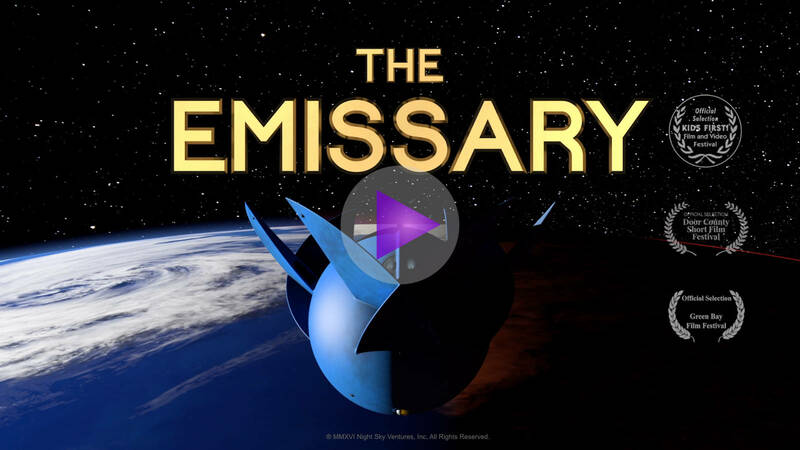 "We loved every thing about "The Emissary"--from the dialogue to the special effects and the music. What an accomplishment!" 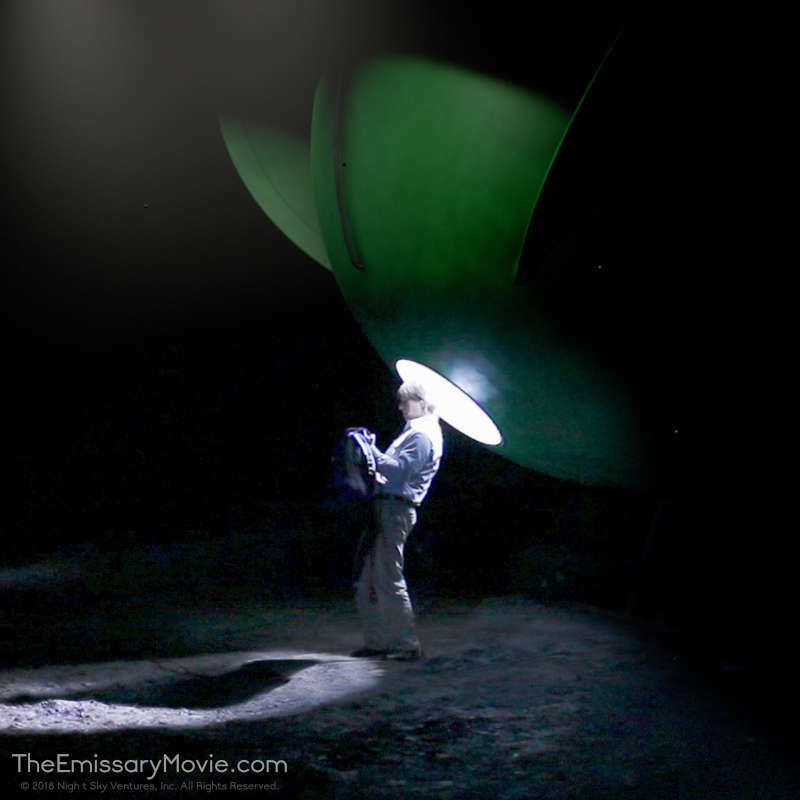 What is the Emissary Movie? 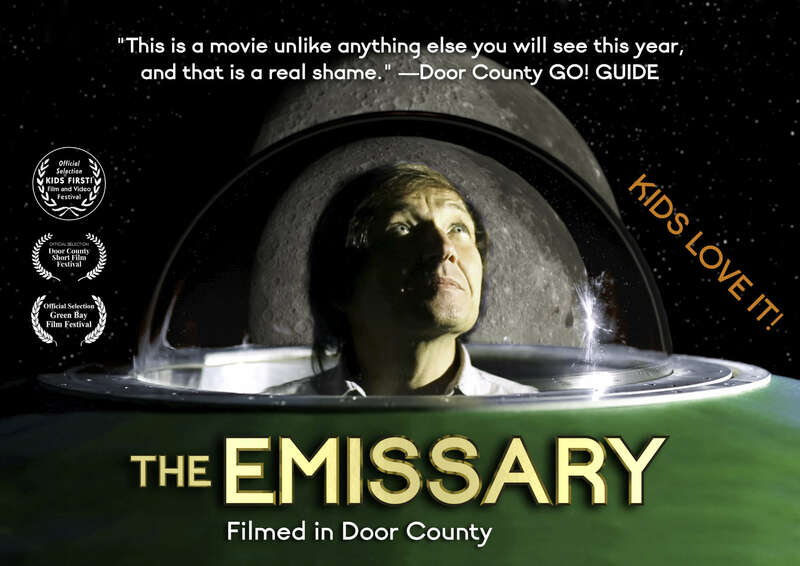 The Emissary Movie celebrates mindfulness, and it’s a family-friendly sci-fi comedy filmed all over Door County, Wisconsin! 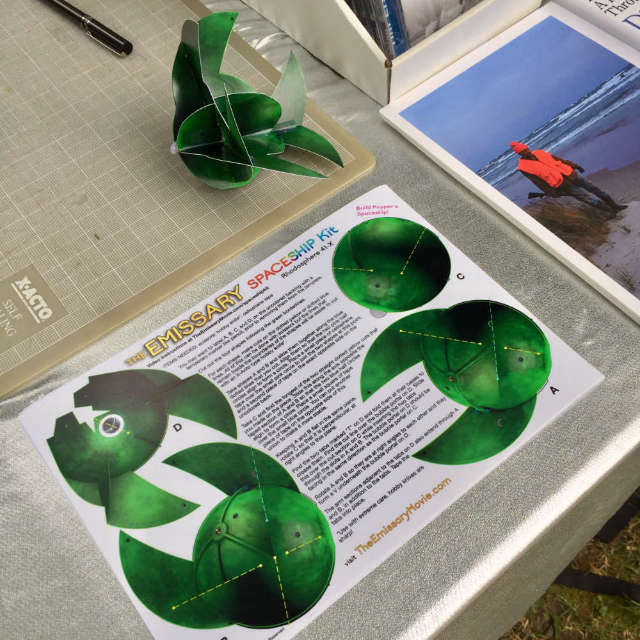 We'll send you a cool origami model kit of Koyper's spaceship with every DVD purchased. For retail store purchases, just contact us and we'll mail you a spaceship kit free of charge! Watch the trailer in HD!